Just wanted to drop a quick note here at the Furman Sports Report to provide links for a couple of Furman stories I've written for the Spartanburg Herald this week. I'll be covering tonight's basketball game also for the Herald. I'll post the link here, but I should have a follow-up piece on here tomorrow. 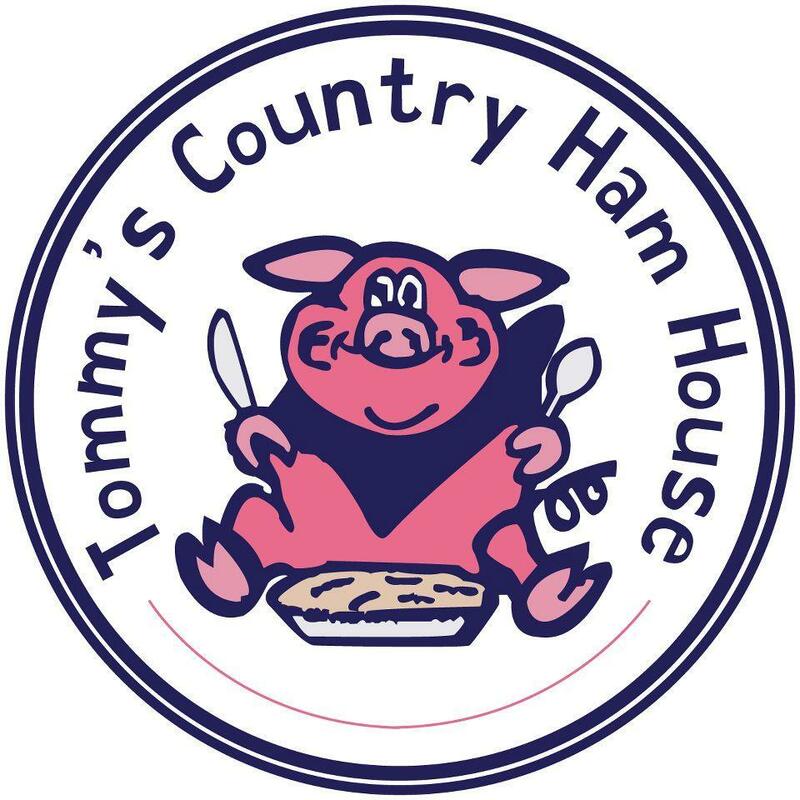 Thanks as always to Tommy's Country Ham House for sponsoring the FSR, and thanks to all of you for reading. This athletic program is an absolute joy to cover and I'm so appreciative of the support to help me do it! Weather has wreaked havoc on the schedules of college baseball teams this season, especially those in the Southeast. Furman is no exception. Of the 14 games the Paladins have played, only six of them went on as originally scheduled. Among the misadventures this year were a series with LaSalle getting completely replaced by a series against Gardner-Webb, traveling to Wake Forest for a Friday game that was rained out then traveling back to Wake Forest two days later for a doubleheader that was originally supposed to be a single game against the Demon Deacons at Fluor Field. That was one of three games at the home of the Greenville Drive that Furman has had wiped out. "It's been the strangest season. You never know when your playing or how much water you're going to have to squeegee off the field," Furman coach Brett Harker said. "It's been very hard to get in any kind of groove." Along with the weather, the Paladins (5-9) have dealt with injuries to Jabari Richards, Deon Sanders and Dax Roper. Weather and injuries are things all teams have to deal with, but it certainly hasn't helped this young Furman team develop consistency. Winning helps and Furman is coming off its first consecutive victories of the season. The first of those two wins came Monday in improbable fashion. The Paladins trailed 10-8 going into the ninth, then were down to their last out still trailing by one. David Webel hit a grounder to short and beat the throw to first allowing M.J. Sasapan to come home with the tying run. An inning later, John Michael Boswell cranked a walk-off home run. 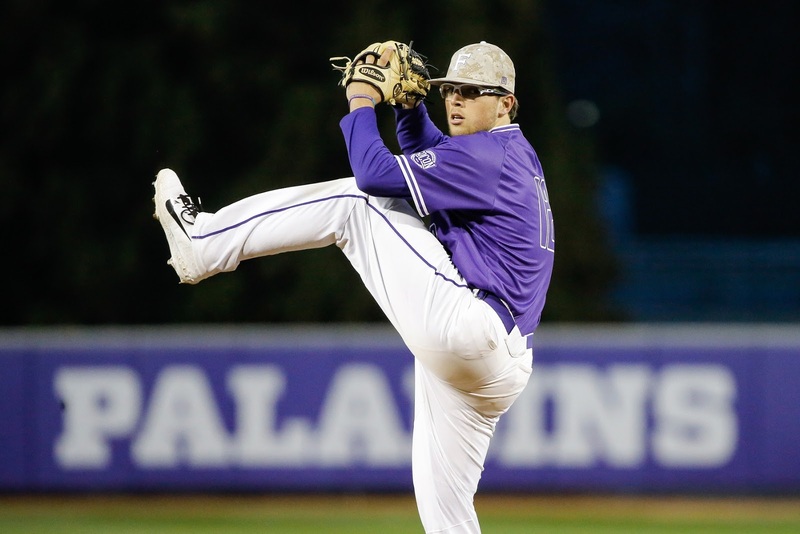 John Michael Bertrand continued to be solid in his role as Furman's midweek starter as the Paladins won at USC Upstate, 7-4, on Wednesday. Two bright spots from that victory for Furman were the confidence boosts it undoubtedly gave reliever Jordan Beatson and outfielder David Webel. In his first game in the leadoff spot this year, Webel went 2-for-4 with a pair of doubles and two runs scored. Beatson gave up one run on three hits over the final three innings for his first save. "We started four freshman on the road and won a game. I don't know the last time Furman has done something like that," Harker said following Wednesday's win. "We're taking baby steps to get better. Of course, I'd love us firing on cylinders from day one. That was the game plan, but obviously we weren't there yet. We're getting better and we're getting healthier though. "We can't grow and get better unless we're playing. That's why we've gone to such extents to make sure we get games in." 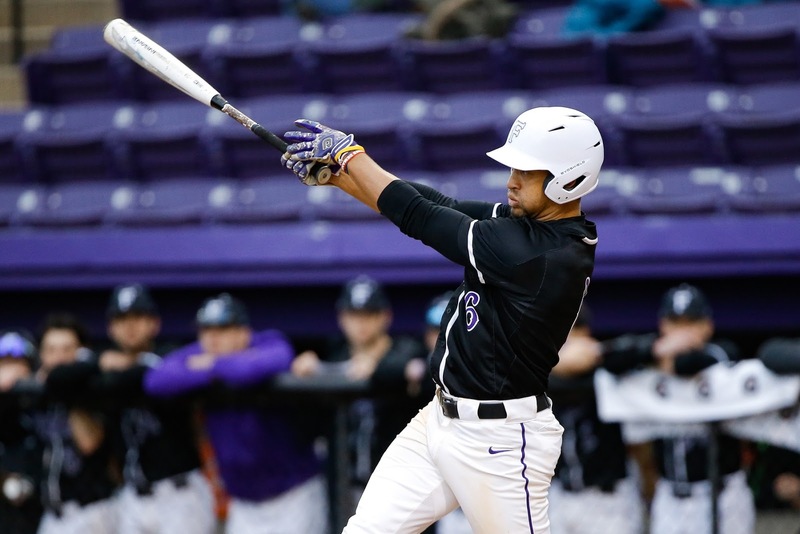 So far this young season, the Paladins appear to have more power at the plate and on the mound. While not the end-all, be-all for offense or pitching, respectively, home runs and strikeouts certainly don't hurt either category. 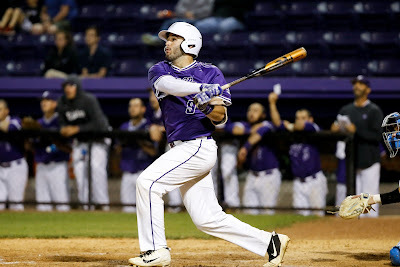 After hitting 40 homers in 52 games last season - including a stretch of 82 2/3 consecutive innings without one, Furman has 13 long balls in 14 games this year. After last year's pitching staff posted 328 strikeouts in 450 innings, Paladin pitchers have 110 in 123 innings this year. Freshman Rob Hughes (2-0, 1 save, 0.00 ERA) has led the way for Furman pitching this season. He's allowed one unearned run on four hits in 15 innings out of the bullpen, to go along with five walks and 22 strikeouts. Those performances have earned Hughes his first collegiate start, set for Saturday at Charleston. "He's thrived every time we've given him the ball in what was a great challenge for him. He's been a starter his whole life," Harker said. "I was very handcuffed early on, because I felt like Rob was the one who could handle that pressure on the back end (of games). Now that we have other guys like Beatson and Eric Taylor stepping up, it opens up this chance." Boswell (.358/3/10; .566 slugging) and Logan Taplett (.286/3/10; .595 slugging) have led Furman's power surge, along with Spartanburg Methodist transfer Sterling Turmon. The injury to Richards opened a door for Turmon, and he has blasted through. Turmon, who played high school ball at St. Joseph's then Eastside, is hitting .344 with three doubles, a homer and five RBIs. "We really weren't sure what we were going to do when Jabari Richards went down. Sterling got the nod and has taken advantage of it," Harker said. "What's been impressive about him is if he has a bad night, he seems to bounce back really well the next day." After winning three of its last four, the Paladins will look to keep building momentum this weekend at College of Charleston. It's the final series before Southern Conference play begins next weekend at Samford. It will be a special road trip for Harker, who played on some incredible Charleston teams and holds the school record for career saves (29). "It's a little weird being in the third base dugout and there's a completely different coaching staff. Heck, it's a different logo that the one I played with. So there's a lot of changes there, but obviously that place means a great deal to me," Harker said. "I have so many memories there. ... I'd love to go down there and play our best baseball for sure." 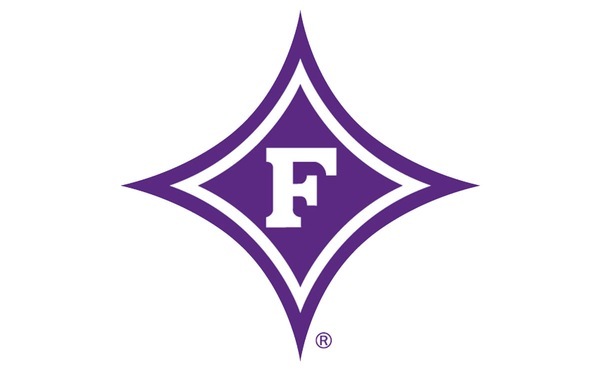 ASHEVILLE, N.C. - The number seven brought no good luck to the Furman basketball team Sunday night in the Southern Conference Tournament semifinals. 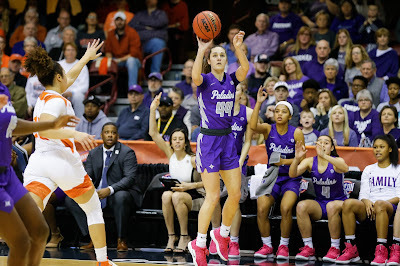 The third-seeded Paladins saw a seven-point lead turn into a seven-point deficit over a seven-minute stretch late in the second half as second-seeded UNCG rallied for a 66-62 win. The Spartans (28-5) advance to play top-seeded Wofford in Monday night's championship game at 7 p.m. Meanwhile, the Paladins (25-7) will have to wait and see where their next game will be. Furman entered Sunday ranked No. 41 in the NET rankings that will be used to seed the NCAA Tournament. At worst, it seems the Paladins will be NIT bound. "Credit UNC Greensboro. They put up a great fight, especially down the stretch," Furman coach Bob Richey said. "I thought both teams competed really hard and played tremendous defense both ways. They swung and we swung, and they got the last one in and unfortunately the clock ran out. "The ultimate goal for all of us is to somehow play in the NCAA Tournament. In the world of mid-major and low-major athletics, you've got to win this (conference tournament). ... That's just how it's always been, but this year is unique. Whether it's us or Greensboro, I don't know. But if you're going to sit here and tell me this is a one-bid league, that's nuts." Following Saturday night's win over Mercer in the quarterfinals, the Paladins had a major concern regarding the health of star Matt Rafferty. Rafferty injured his right thumb after falling to the court late and didn't return. The thumb wasn't broken, but Rafferty did play with a splint on it Sunday. The splint had to be altered when excommunicated ACC official official Karl Hess deemed that the original soft-wrap wasn't legal to play with. This meeting took place about eight minutes before tip-off Sunday and Rafferty had to have it re-wrapped. 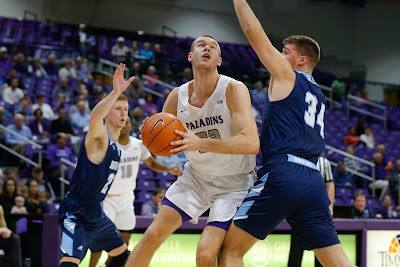 Rafferty fought through the pain to lead the Paladins with 17 points, 10 rebounds, five assists, three blocks and a steal. While Rafferty will never be one looking for excuses, the SoCon's leader in field goal percentage was just 6-of-15 from the floor Sunday and a few of those made buckets came on left-handed layups. "I don't think (the splint) affected my game too much. I missed some shots that I should've made, but all you can do is go out and play as hard as you can," Rafferty said. "I was going to play no matter what." One night after compiling a season-high 25 assists in a win over Mercer, the Paladins had one in the first half Sunday to go along with seven turnovers. Yet Furman trailed only 26-24 at the break after limiting UNCG to 36.7 percent shooting. Things got more Furman-like on offense after halftime as the Paladins opened the second half on a 7-0 run. Furman's lead stretched to nine on four different occasions, the last coming on a pair of free throws by Jordan Lyons that made it 45-36 with 12 minutes left. The Paladins took a 52-45 lead after a steal by Andrew Brown led to a layup by Lyons with 8:43 left. Things went downhill quickly for Furman from there. UNCG went on a 20-6 run over the next 7:04 as Isaiah Miller's dunk gave the Spartans a 65-58 lead with 1:21 left. After Rafferty hit a pair of free throws, Alex Hunter came up with a steal with 31 seconds left. Trailing 65-60, Furman's possession took way too long and ended on Clay Mounce's putback with 11 seconds left. Miller hit 1-of-2 free throws with nine seconds left to wrap up the win. "That's a broken floor play. You get the steal and you'd love for guys to run wide where you can either attack the rim or hit somebody that's running wide for a three," Richey said. "Unfortunately, the ball got bent to the sideline more than you want right there. If you pause right there to try to run a play, that's going to take too long. You've got to try to attack in the open court and keep the ball in the middle of the floor and unfortunately we didn't." Lyons was the only other Paladin in double figures with 15 points. Brown and Hunter had nine and eights points, respectively, while Mike Bothwell added seven. Francis Alonso had a game-high 19 points to lead UNCG. While he only had four points, James Dickey was also a force for the Spartans as he pulled down 15 rebounds, including eight offensive. UNCG had a 39-28 edge on the boards, including 16 offensive rebounds. Somehow, Furman had an 8-1 advantage in second-chance points. ASHEVILLE, N.C. - The Furman women's basketball team threw everything it had at Mercer Sunday afternoon, but the Southern Conference's biggest dragon could not be slayed. The Paladins couldn't get three potential game-tying shots to fall in the final seconds as the Bears held on for a 66-63 win in the Southern Conference Tournament championship. It's the 34th consecutive win over SoCon competition for Mercer (25-7), which hasn't lost to a league foe since Chattanooga in the 2017 championship game. The season will continue for Furman (19-13), which earned an automatic bid to the Women's NIT. "This is a hard one," Furman coach Jackie Carson said. "I'm just so unbelievably proud of this team, their fight and resiliency. A lot of people counted us out, but we have 15 players, coaches and staff that never did." Of those 34 wins for the Bears, not many could've been more hard earned than Sunday's classic of a final. The teams swapped the lead 10 times and had two ties, but unfortunately for Furman, not three. After hitting a 3-pointer early in the first quarter, Paladin leading scorer Le'Jzae Davidson couldn't get another to fall. After missing one with 20 seconds left to play, Furman was forced to foul with 15 seconds left. Mercer's Amanda Thompson missed both free throws and Furman's Tierra Hodges grabbed the second miss and called timeout. After Davidson's 3-point attempt was partially blocked by Thompson with five seconds left, there was a scramble for the ball. Milica Manojlovic came out with it and fired to an open Davidson in the corner. Her shot looked on target as the final horn sounded, but it rimmed off no good and the Bears erupted in celebration. "I thought every single one of them was going to go in because I had no doubt that we were going to win this game," Carson said. "The last one looked like it was online and Le'Jzae is used to hitting that shot over and over again. It just didn't fall. ... She had a tough day, but she gave us a chance." Half of those 10 lead changes came in the first quarter, which ended with a Taylor Petty 3-pointer that gave Furman a 17-14 lead. KeKe Calloway powered the Bears back in front as she scored 15 of her game-high 30 points in the second quarter to help Mercer take a 35-31 lead into halftime. After a sluggish opening two minutes of the second half, Carson called timeout. The Paladins responded, outscoring the Bears 16-7 to carry a 47-44 lead into the fourth. Hodges' putback gave Furman its biggest lead at 52-46 with 8:47 left. After Hodges' jumper with 8:03 left gave the Paladins a 54-49 lead, they didn't hit another field goal for more than six minutes. A Hodges jumper with 1:27 left cut Mercer's lead to 62-60. The Bears' Shannon Titus answered with a jumper with 1:05 left before Petty hit three free throws with 48 seconds left to slice the lead to one. Mercer's Rachel Selph powered her way in for a layup with 29 seconds left for the final score of the game. "Their kids are used to rising to the occasion at the end of a game. ... That's a credit to (Mercer coach) Susie (Gardner) and what they've built. ... They've got five seniors and are just unbelievably experienced," Carson said. "We couldn't get Titus off the boards. I thought that was a big key." The rebounding battle was even at 36, but Mercer controlled it in the second half. Furman had a 16-6 advantage on the boards early in the second quarter. The Paladins had just eight turnovers, but Mercer had only six. The Bears also had 10 blocks and five steals. Petty hit 5-of-8 3-pointers and finished with a season-high 22 points to lead Furman. The former Dorman High standout, who sat out last season after transferring from Presbyterian, made the All-SoCon Tournament first team along with Hodges. Celena Taborn and Davidson represented the Paladins on the All-Tournament second team. Taborn had 15 points Sunday, while Hodges scored 12 and Davidson had nine. "It's not too hard to fit into this program. As the year went on, I just started to find my groove," Petty said. "Coach keeps yelling at me to take more shots, so I guess I finally did today." Calloway, who set the Furman opponents' single-game record for 3-pointers when she hit 12-of-18 last season at Timmons Arena, was the Tournament's most outstanding player. Titus, who had 29 points in Mercer's win over Wofford in the semifinals, was held scoreless for the first three quarters Sunday but finished with 12 points and 10 rebounds. Selph had nine points and six blocks, while Thompson finished with eight points, eight rebounds and four steals for the Bears. 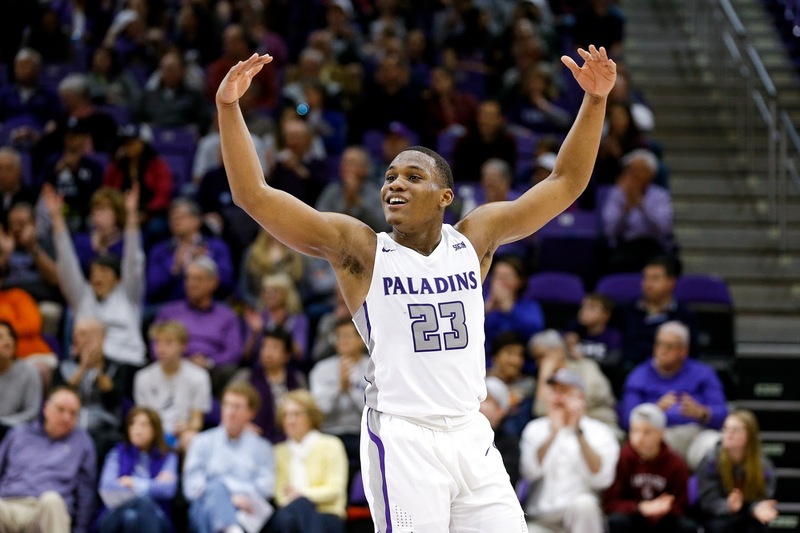 While there's still more basketball to be played this season, Furman will look to build off overcoming injuries to finish second in the league and reaching its first final since 2000. The Paladins will return everyone except lone senior, Kaitlyn Duncan, next season. "It's been a long time since we've finished second, so that was a great accomplishment for us," Taborn said. "Getting to the championship for the first time since 2000 was great too. We just have to finish next time." ASHEVILLE, N.C. - The semifinals that Southern Conference followers have looked forward to all season are finally here. After going 47-1 against the rest of the league during the regular season, the top four teams went 4-0 in Saturday's quarterfinals of the SoCon Tournament. Not that it was easy. After top-seeded Wofford whipped VMI, 99-72, to open play Saturday, No. 4 seed ETSU held off Chattanooga, 68-64. Saturday's evening session started with No. 2 seed UNCG rallying from a 13-point deficit to defeat Samford, 77-70, before third-seeded Furman withstood a gritty Mercer effort and pulled away in the second half for an 85-74 win. "Great effort by our guys, especially in the second half. ... I thought we came out of the locker room in the second half and got back to what we do," Furman coach Bob Richey said. "Jordan (Lyons) shot the ball really well and brought a lot of energy and spirit. We had a couple of guys step up off the bench - Andrew Brown was phenomenal and played with a lot of edge and physicality. Tre Clark was a big sparkplug." Richey preached this week that nothing that happened in the season really matters in Asheville and he was right. Mercer shot 50.9 percent from the floor, becoming the first team to shoot at least 50 percent against the Paladins' No. 1-ranked SoCon defense since UNCG on Jan. 12. Furman (25-6) countered with an outstanding shooting night of its own. The Paladins hit 15-of-38 (39.5 percent) threes, 15-of-22 (68.2 percent) twos, and tallied a season-high 25 assists. "It's March. They've got March Madness logos around here for a reason," Richey said. "Everybody had new life today. They're going to play with spirit and free. We got to experience that a little bit in 2015 when we were the 10th seed. ... Mercer played with a lot of energy, played with multiple defenses and did a lot of different things. "Yes, there's pressure to go out there and win three games but the more you can stay in the present and just play the possession, the better we are." While thrilled to advance, the postgame excitement was tempered due to the uncertainty of an hand injury suffered by Matt Rafferty late in the game. With a little over four minutes to play, Rafferty took a nasty spill to the floor with the Paladins on offense. It wasn't the best sign when Furman's do-everything warrior was slow to get up, but he was able to make it to his feet in time to haul in a baseball pass from Alex Hunter after the Bears had a quick miss on the other end. Rafferty converted the layup to give Furman its biggest lead at 78-63 with 3:56 to play and Mercer called timeout. Rafferty never returned to the game and wasn't available for the postgame press conference. "We don't know yet (about Rafferty). He's getting evaluated, which is why he's not here right now," Richey said. "He fell on his hand. He's one of the toughest human beings I've ever been around. I'd expect him to play tomorrow night." Furman had a 21-12 lead and no turnovers over the first nine minutes of play, but that changed quickly. The Paladins had six turnovers over the next six minutes. The last of those turned into a made jumper by Ethan Stair and with 4:05 left in the half Mercer had something it had not had all season - a lead over Furman. The Paladins answered with an 8-1 run highlighted by back-to-back 3-pointers by Jordan Lyons and took a 39-36 lead into halftime. There were eight lead changes over the first five minutes of the second half, but the last one was a Clay Mounce 3-pointer with 15:18 left that put Furman ahead for good. After Jaylan Stowe's layup with 14:19 left cut Furman's lead to 51-49, the Bears didn't have another field goal for nearly five minutes. The Paladins went on a 14-2 run during that span to take command. Lyons hit a pair of 3-pointers in that run, while Brown and Clark also had key buckets during it. "Basketball is a game of runs. The good thing about this team, throughout the whole year, is we've done pretty well with battling through other teams' runs and staying together through the highs and lows of the game," Lyons said. "We just believe in each other and that's why we're able to turn things around." Lyons hit 7-of-13 3-pointers and finished with a game-high 25 points to lead Furman. In addition to 14 points for the noted 3-point threat off the bench, Brown also grabbed eight rebounds, had four assists and no turnovers. Rafferty had 12 points, seven rebounds and five assists. Noah Gurley was the other Paladin in double figures as he had 10 points in just 16 minutes before fouling out with 8:20 left. Hunter, Mounce and Clark each scored eight points, with six of Clark's coming on three thunderous dunks. Hunter added seven assists and three steals. Seven Paladins had at least two assists and six had at least one steal. "I just felt like I needed to bring some energy. We had a couple of lulls in the first half and the beginning of the second half," Brown said. "We weren't playing as well as we could be, so I was just trying to come in and be a spark, make hustle plays and do everything I could to help us win." Stowe led the Bears (11-20) with 16 points. While Furman's defense wasn't quite as lethal as it has been down the stretch, Lyons and others still made things tough for Mercer sharpshooter Ross Cummings. Cummings, a second team All-SoCon selection who ranked fourth in the league with an average of 17.6 points per game this season, hit 100-of-248 (40.3 percent) 3-pointers in the regular season. But in 3-point tries against the Paladins this year, Cummings was 1-for-5 in Greenville, 3-for-10 in Macon and 1-for-5 in Asheville Saturday night. Furman moves on to face UNCG at approximately 6:30 p.m., following Wofford-ETSU in the other semifinal at 4. The Paladins and Spartans split the regular season series, with each posting a 10-point win on their home floor.